Network Attached Storage (NAS) devices and Mass Data storage devices are relatively new to the small business owner and home user. These devices are similar to a data storage server without an computer system. They generally come with an internal built in operating system which has a raid controller that allows you to configure the hard drives in various arraignments. When these hard drives fail the data recovery is more complex and more expensive. Again these devices are intended for data back up. Unless set up correctly in a multiple Raid 1 configuration they should not be used as primary storage devices, unless they are also backed up. For more information call one of our techs when attempting to configure a Raid system. DataRecovereyNAS.com provides worldwide NAS Data recovery for External Hard Drives, USB Flash Drives and mass data storage devices. We also provide data recovery for Raid configured data storage devices and NAS devices. We provide data recovery for Hitachi, Seagate, Western Digital, IBM, Fugitsu and Maxtor hard drives. Flash Drives and Thumb drives were designed for copying data to transfer to another device or as an additional copy of your data. Again as with the external drives we find that many people are now using the flash drives and Thumb drives as primary storage devices. DataRecovereyNAS.com again strongly recommends that you only use these devices to hold a copy of your critical data. 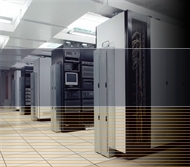 Our techs have a combined 57 years experience in NAS Data recovery.